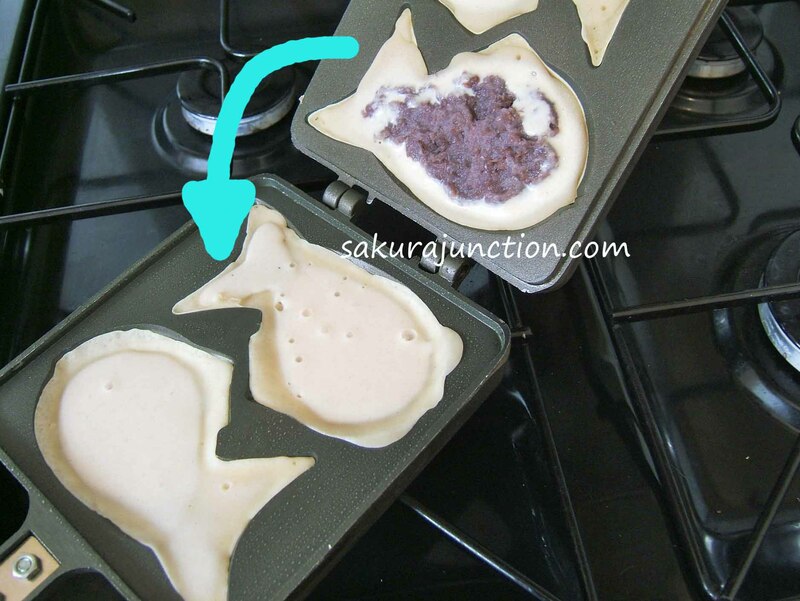 For making sweet in a fish shape you have to have a fish shaped frying pan. This pan I bought on-line is not for a professional use and it was reasonably priced. It has pros/cons but it does the job for family use. 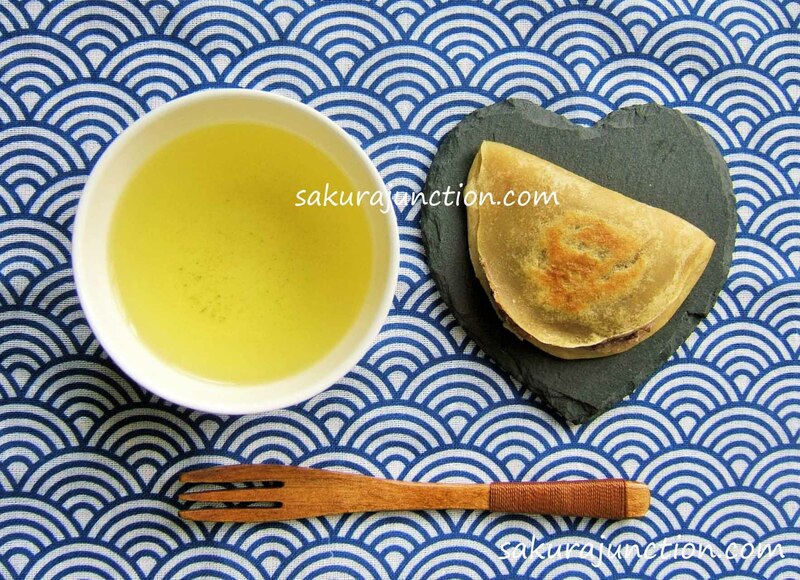 I have seen several recipes of Tai-Yaki and some of them are using pan cake kind of batter. But for me Tai-Yaki skin has to have a slightly crispy texture. This recipe is simple, vegan and creates a perfect crispness for this sweet. Whisk all the ingredients in a bowl except for Tsubu-An. Leave the batter mixture in room temperature for about 30 minutes. Grease the fish shaped pan thinly with some vegetable oil and place the side without edge on a low-medium heat. Pour the mixture into the fish shaped mold. Whilst grilling the batter rises so pour it just about half way up of the mold and do not over fill it. 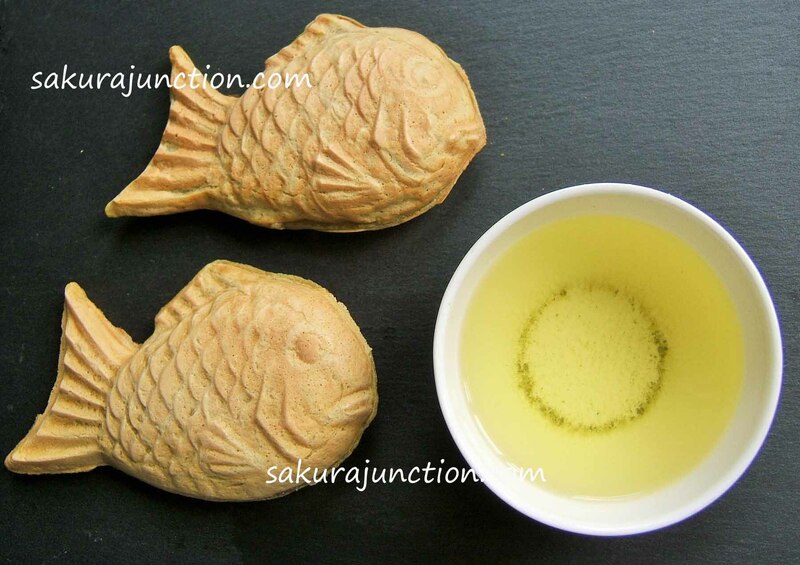 Place Tsubu-An in the centre of the fish shape as well as some in the tail part. After grilling for 5 minutes swap the side of pan and start heating the other side on a low-medium heat. When it gets heated pour batter into the mold up to 60%. 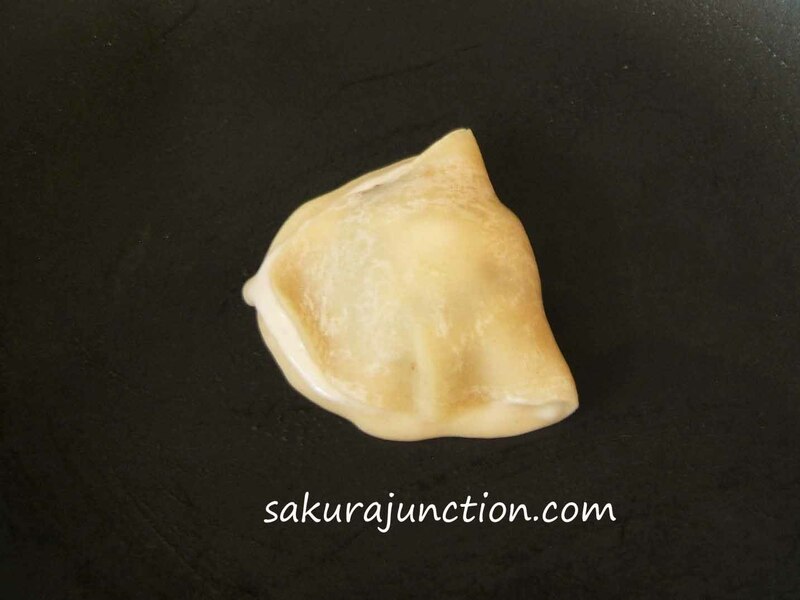 Close the pan by placing the side which was grilled first with Tsubu-An on top of the side currently on a heat. Grill this side for 5 – 10 minutes. Make sure the other side is also cooked thoroughly with golden brown colour. 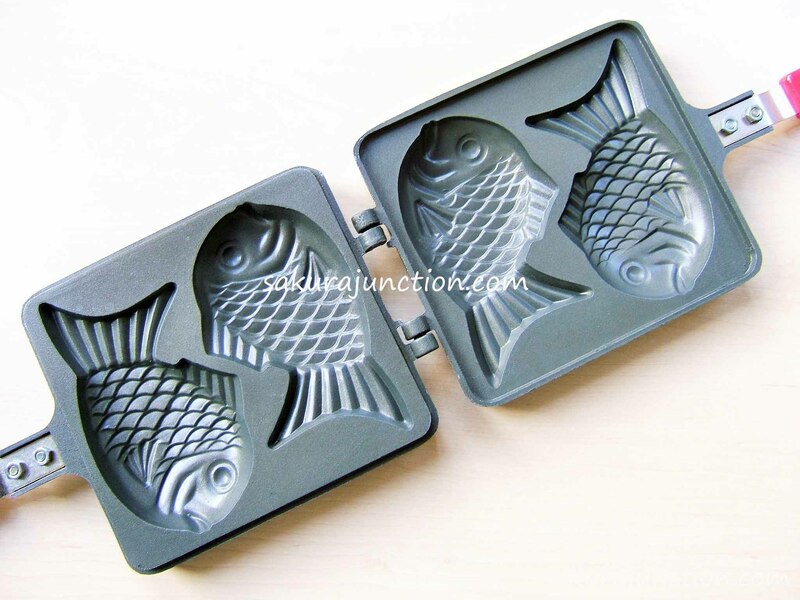 Remove the sweets from the fish mold. 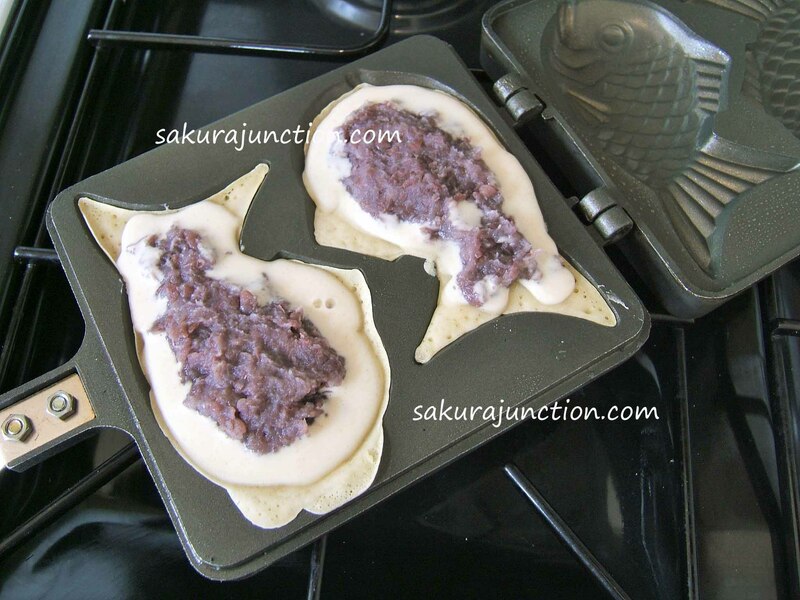 This is another way to make ‘Tai-Yaki’ for the people who don’t have the Fish shaped pan. I named it ‘Half-Moon-Yaki’. Heat up a frying pan and grease with a little bit of vegetable oil. 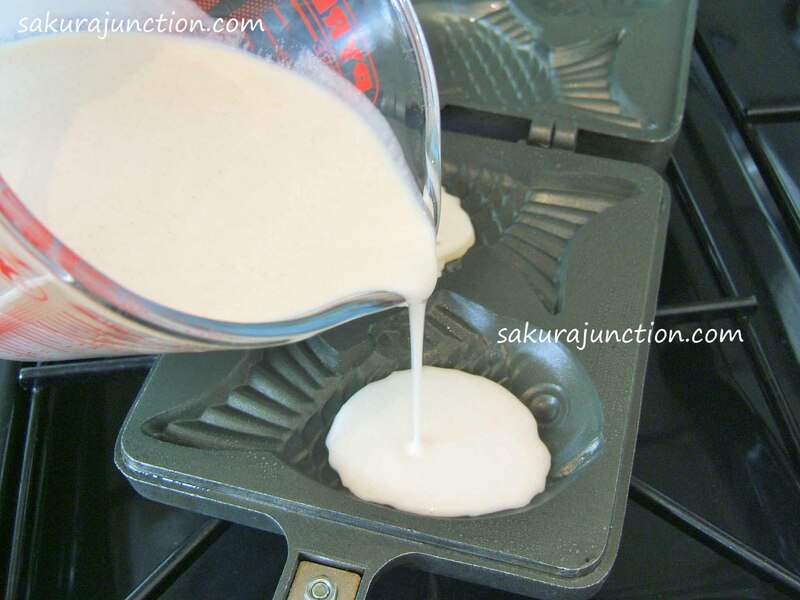 Pour the same batter mixture for making Tai-Yaki into a slightly oval shape. Quickly place some Tsubu-An on slightly closer to one side before the surface dries up. Halve the dough towards the side with Tsubu-An on. 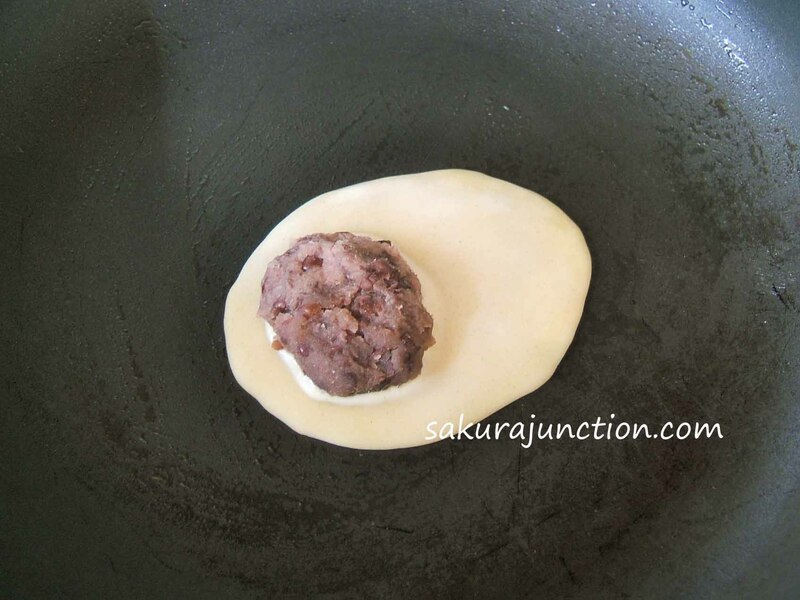 Press the edge around Tsubu-An so the batter stick together. Grill the both side well untill it becomes golden brown. Thanks for your comment. Yes, I agree. Still hot Just-made Tai-Yaki is the best! 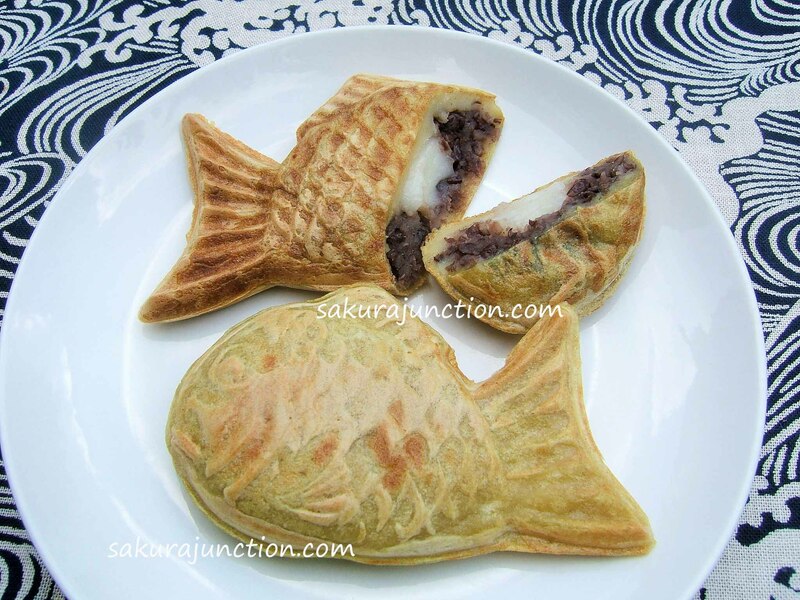 Custard filling is nice too but sweets with Anko is the soul food for Japanese. Hi Mutsumi, thanks for liking my last post! It made me discover your blog which I find so interesting. I think I am going to learn quite a lot about Japanese sweets, I am following! Thank you for your kind comment & following me. I’m pleased to hear that you found something interesting in my Blog. Absolutely! That is the Best way!! 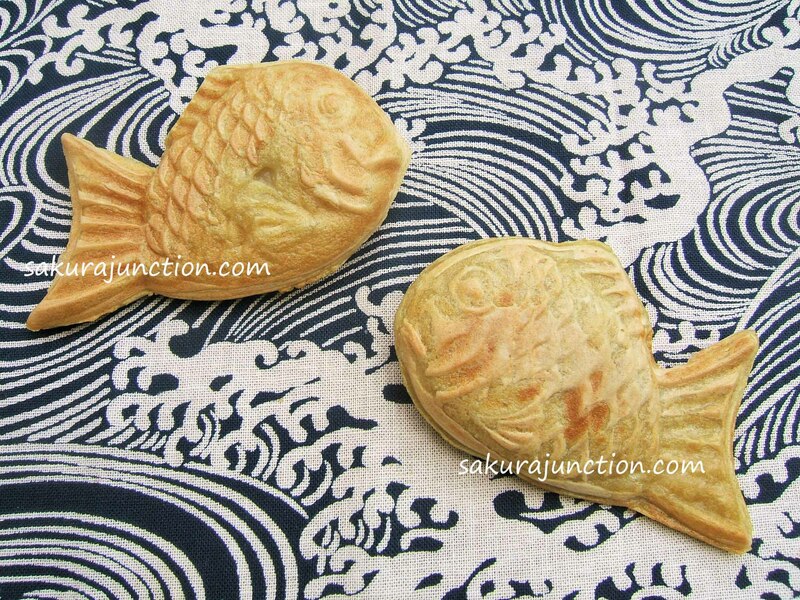 I had these fish a couple times from a street vendor with chocolate inside, so delicious! Glad you tried some in Japan.